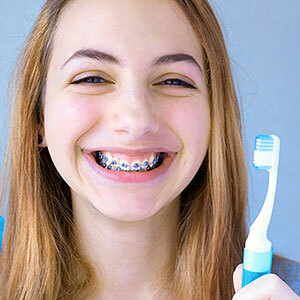 There are some things you can do while wearing braces to avoid these problems. Be sure you're eating a nutritious diet and avoid sugary snacks or acidic foods and beverages (especially sports or energy drinks). This will deprive bacteria of one of their favorite food sources, and the minerals in healthy food will contribute to strong enamel.